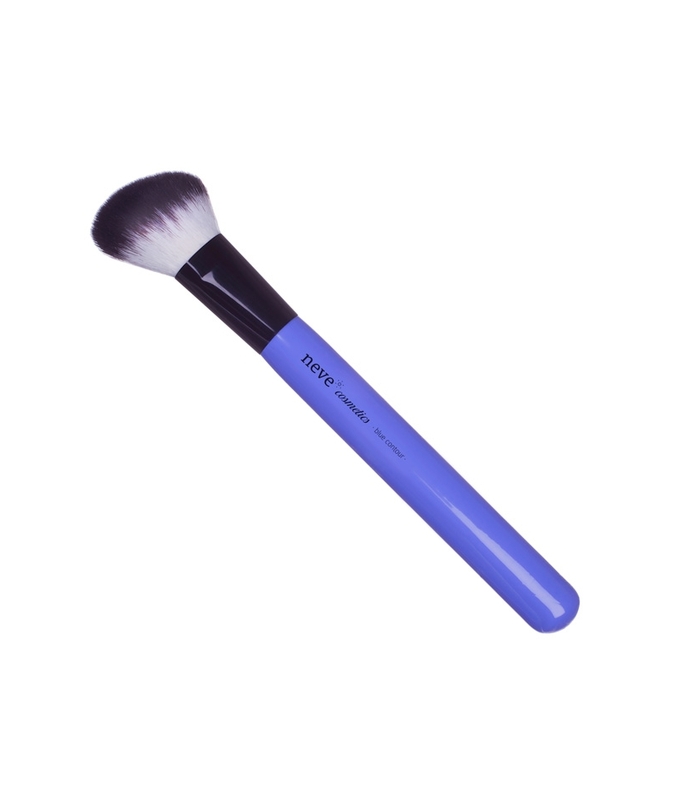 Soft, angled brush for sculpting your features. 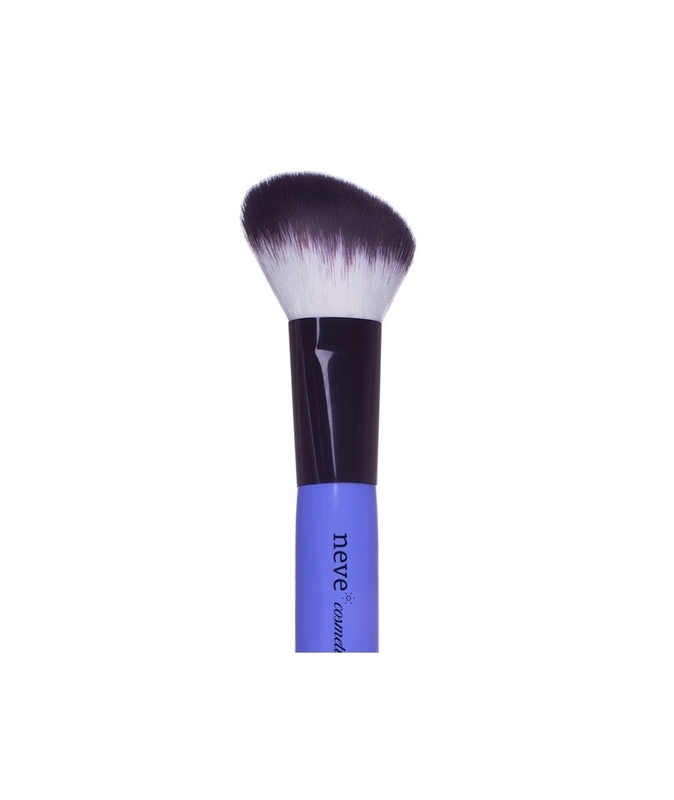 Multi-purpose professional brush with dual-colour synthetic bristles arranged diagonally, perfect for shading and manipulating light and shadow with blushes, illuminators, and bronzers. Also recommended for applying liquid foundations. 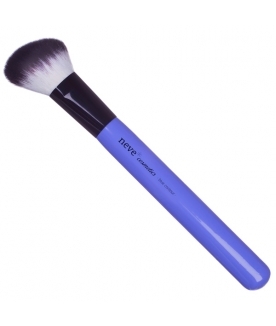 Periwinkle blue, varnished wooden handle with a shiny finish, shiny black, polished metal ferrule, dual-colour bristles made from cruelty-free synthetic fibre. Uses: blushes, bronzers, contouring products, and illuminators. Max. brush lenght: 19,20 cm. Max. hair width at the base: 2,20 cm. Max. handle width: 1,85 cm.